Protection from hot surfaces is a must when working in the kitchen. Every home needs them, so why not whip up a set this Christmas. 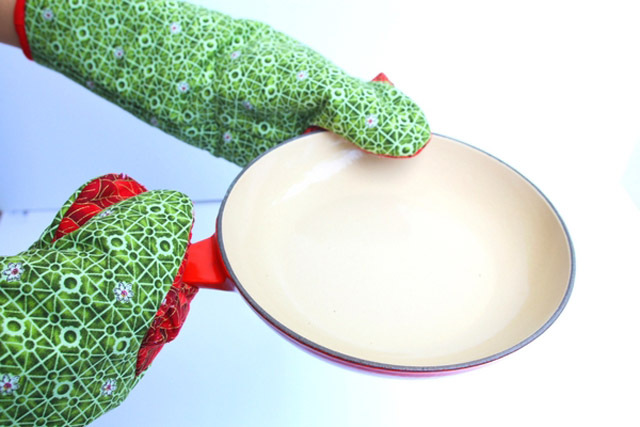 Mayra, from So Sew Easy, shows how to make Pinch Grip Oven Mitts. Download the free pattern and follow the step by step tutorial to make a set of your own. My son has asked me to make him oven gloves your showcase couldn't have been more timely Pam, heading off to check out that tutorial now !